Get the May 2015 flyer to book yourself on one of 40 dance and music workshops and our fantastic evening events with 3 rooms of dance on one ticket. 15 13.00-14.30 RC Think You Can’t Sing? Download the May 2016 flyer for further information. or tel 01274 730795, NOT to the Victoria Hall. 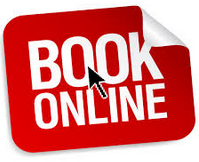 Booking notes: please make sure you allow us access to your name and email address when you book so we can contact you to confirm workshop choices, names and/or to notify you of any changes. Also note that 'Skiddle' rather than 'Day of Dance' may appear on your bank statement. One ticket allows admission to all three 8pm evening events. THREE ROOMS of dance all on ONE TICKET. Download the May 2015 flyer for further information.